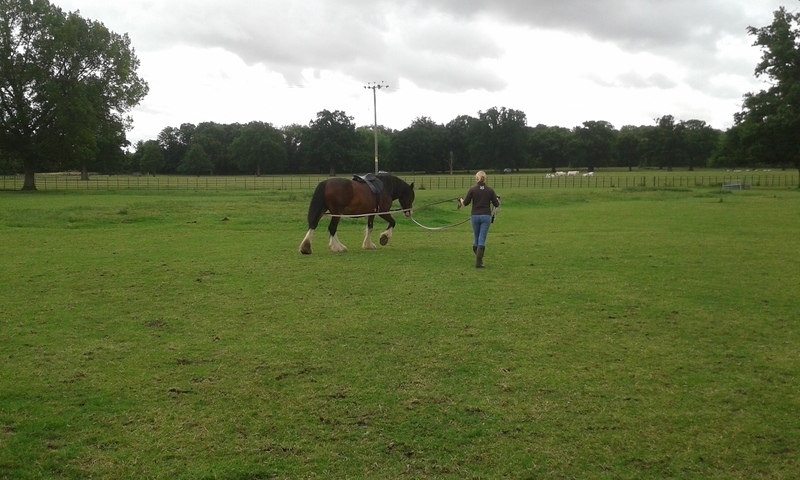 Maybe you can’t teach an old dog new tricks but you can teach them to a mature horse. 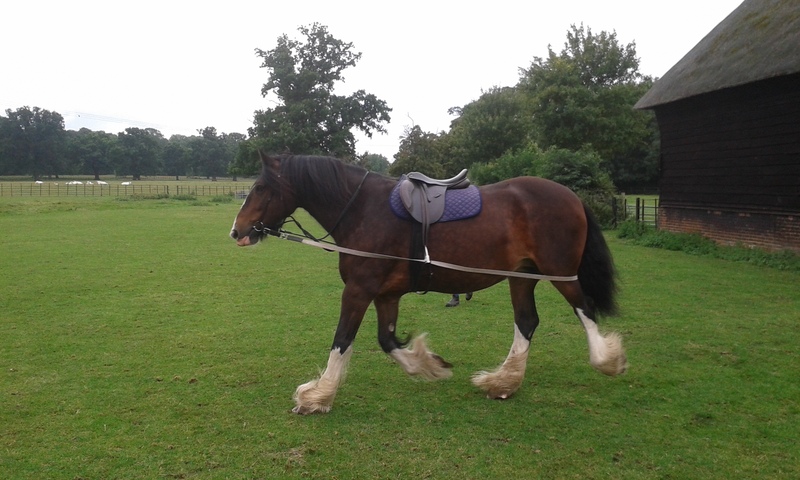 Queenie who is 12 yrs old has never been ridden. Now that Lady her latest addition to the Heavy Horse Dept. is enjoying her teenage years mummy is exploring new adventures. For the last couple of weeks Emma has been getting Queenie used to the idea of being ridden. To start with Queenie was introduced to the weight and feel of a saddle and harness in the stalls – basically she just wore them for a while. 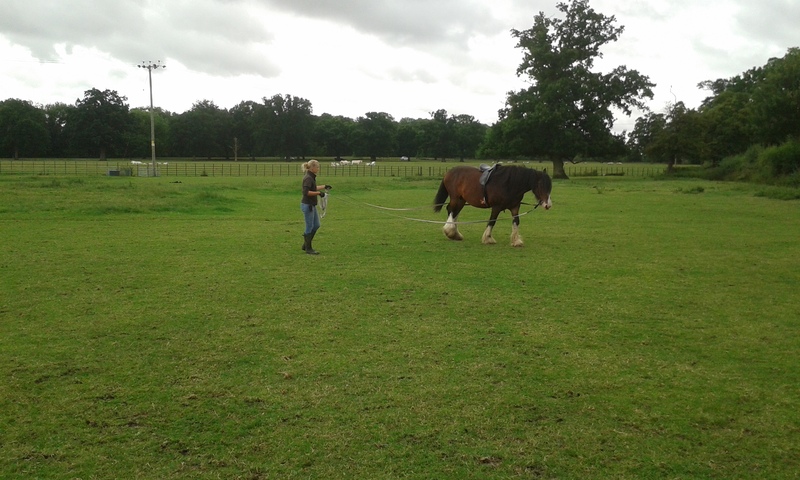 Next came lunging with a single and a double line while carrying a saddle (with stirrups hanging but secured so as not to rattle about). The next step in the process was to add weight to her back, basically Emma lying across the saddle and then Emma sitting in the saddle and riding her. It’s all gone extremely well Queenie is now being ridden up to a trot and seems to be taking to it like a duck to water. 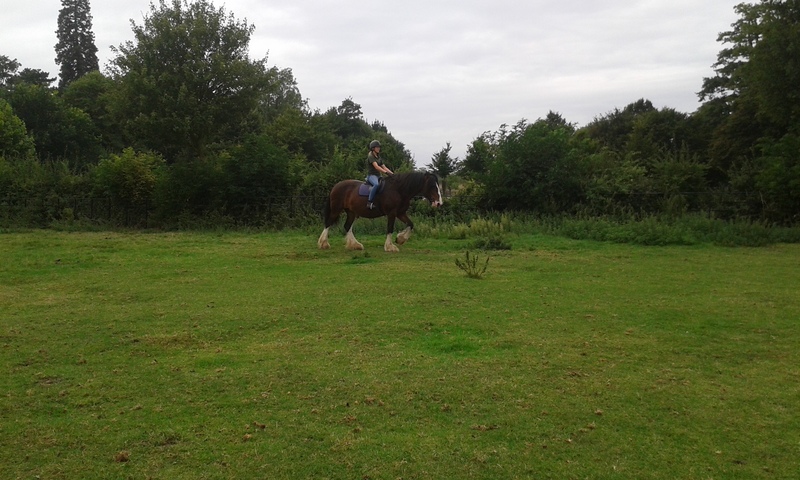 Who said being ridden was difficult! What a success story! It also goes to show what patience, good care and professionalism can do, as demonstrated by Emma and others at the Horse Dept. of the National Trust. These horses seem so adaptable, bright and ready to learn. It is always a pleasure to see them being used to their full potential by those dedicated to their well being.